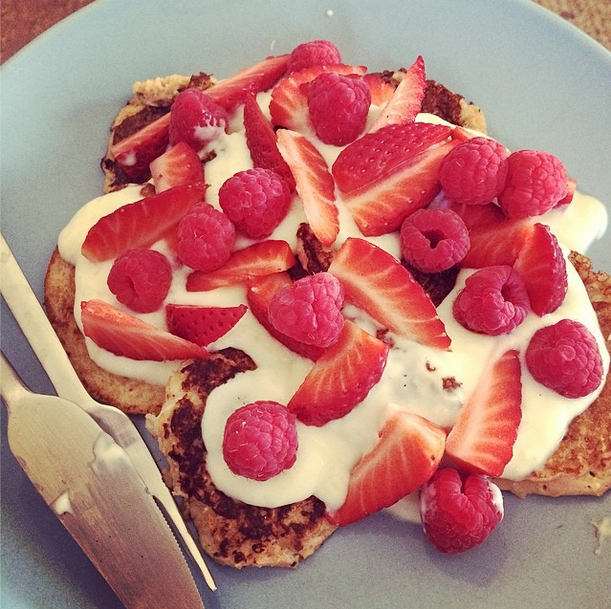 Iona Blog : Ch-ch-changing, losing weight with Slimming World. Ch-ch-changing, losing weight with Slimming World. Last October I made the conscious decision to make a change, it sounds dramatic but I wasn't happy with my weight and I was the only one who could change it. I'll tell you a secret I never used to step on the scales, I had a phobia of sorts, I was scared and denial/avoidance of the scales, helped me to reassure myself that I was happy how I was (I wasn't.) My Mum and Dad have followed Slimming World on and off for years, last August they rejoined a new class determined that this time it was for the long haul, I swithered about joining (still in denial) as I kept telling them I was happy how I was/ that I was sure I couldn't lose weight, I'd never tried so just presumed I couldn't. After weeks of debating I eventually decided to join Slimming World with the parentals, I'd just started a new job and it seemed only fitting that I started to make some life changes too, although I refer to it as a diet, I treat the Slimming World plan as more of a lifestyle change. 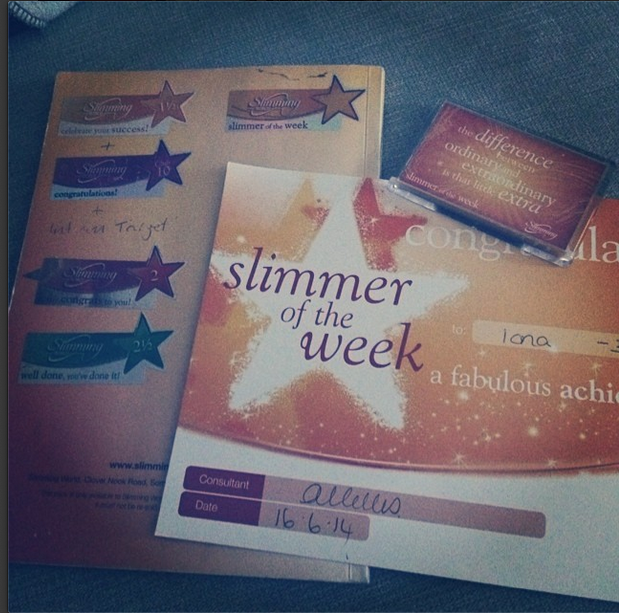 Heading to my first week at Slimming World was incredibly daunting, I was terrified about stepping on the scales, but if I'm honest the worst week for me was the second. I felt physically sick before I headed to my first weigh in, I was sure I wouldn't have lost anything or even worse that I'd have put on weight, walking to class I was trembling and anxious and even considered not going. Thankfully I have had the support of my Mum and Dad the whole time I've been following Slimming World, without them I'd not have gone to my first weigh in (I lost 4.5lbs by the way!) and wouldn't have had the support I've needed so much throughout my journey so far. 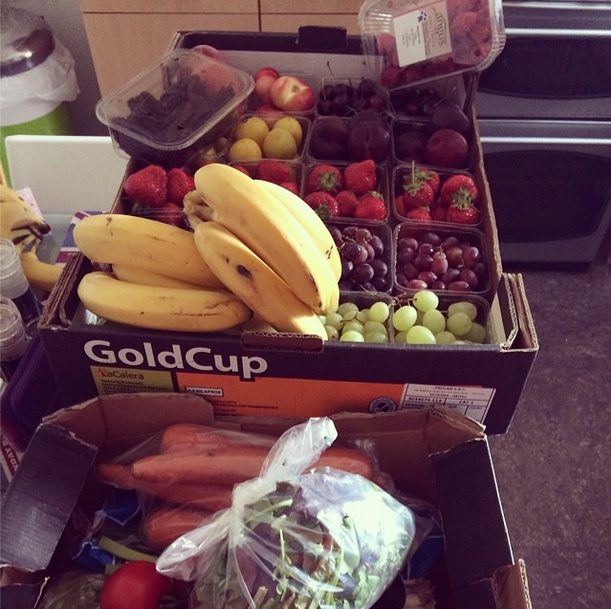 Fruit & Veg consumption has increased 10 fold in the BB household! Hard to believe it's 'diet food'! I've really really enjoyed following the Slimming World plan, I won't go into the details about it but I love that I can eat lots of the things that I like and can eat proper meals without feeling like I'm eating 'diet food' and most importantly for me see results. I've now lost just shy of 3 stone and though I have noticed the difference, in that I've been buying much smaller clothes, feeling slimmer and so many people commenting on the differences they were noticing, I don't think I'd quite realised how much I've lost, till last weekend. 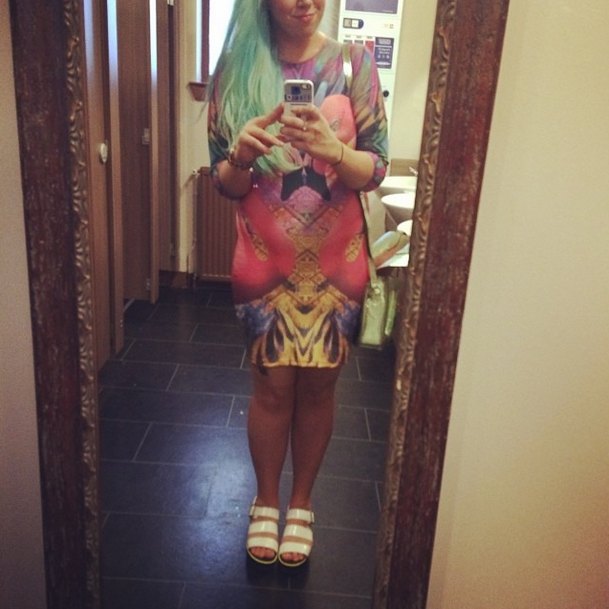 In the past I'd have never worn a short dress, never, at a push I'd have worn something just above the knee but always with tights or leggings; I didn't feel confident in my body and short dresses were a definite no-no! At the weekend I wore a dress I bought a couple of months ago in River Island with no tights, a short bodycon dress sans tights, SHOCK HORROR! 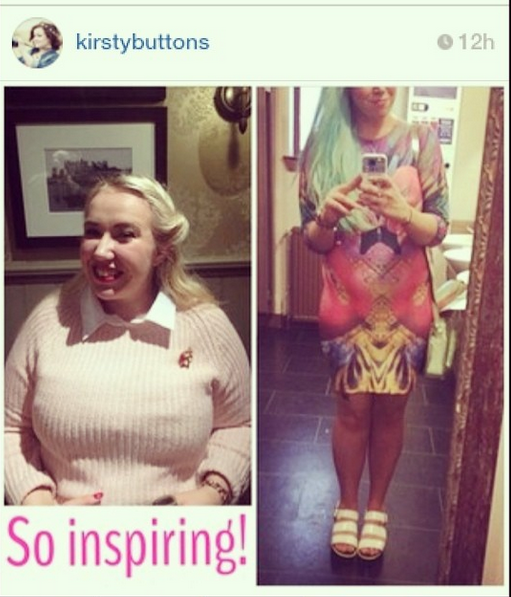 It was a definite move forward for me in terms of self-confidence and I'm glad I did it, but what really made all the difference was my blogging pal' Kirsty posting a comparison picture on twitter of me last year and now. I'd never really been much of a fan of comparison pictures, as in the past I hated anything other than pictures where I really controlled the angle and such like... So I'm glad Kirsty did it as it helped to show me how far I have come, it wouldn't have been possible without the help and support of my family and friends, and it feels like the right time to finally talk about it on my blog.